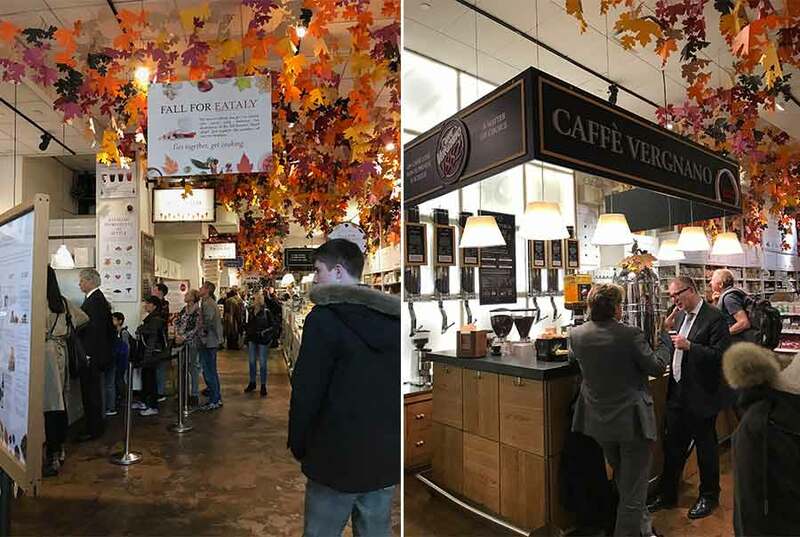 On a recent family holiday to Manhattan – one of the highlights was popping into EATALY in Flatiron district. It’s a truly mindboggling and overwhelming foodie experience. 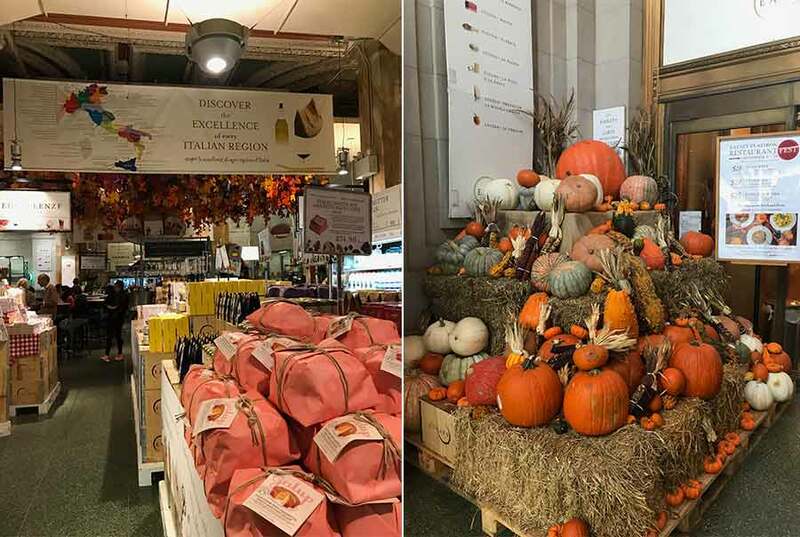 It’s a sensual and visual feast as you move through this huge store, celebrating the heritage and quality of Italian produce and cuisine – and combines a massive supermarket with food cookery and dining areas throughout. There’s an impressive wine bar. A tempting Pasticceria. Barista coffee bars. 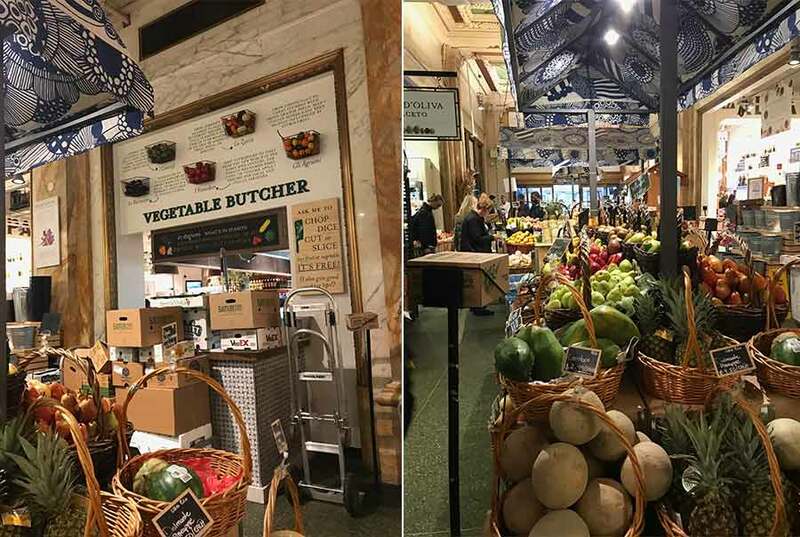 A fruit and vegetable market – beautiful and featuring some wonderous produce – and including a ‘Vegetable Butcher’ who will chop, dice or slice your vegetables FREE, and give you some helpful advice and tips! The display of regional and variant mushrooms alone – WOW! You can perch at a small bar and try some regional cheeses and hams with a fine Italian wine in the deli area, with a truly impressive marketplace display of regional cheeses and hams. The whole store is positively bursting with marketplace style displays with incredible theatre and colour. ALLA PALLA is a pizza and wine servery where you can order any pizza by the slice, and wine by the glass – then sit and savour. The quality and freshness of these pizzas was superb. 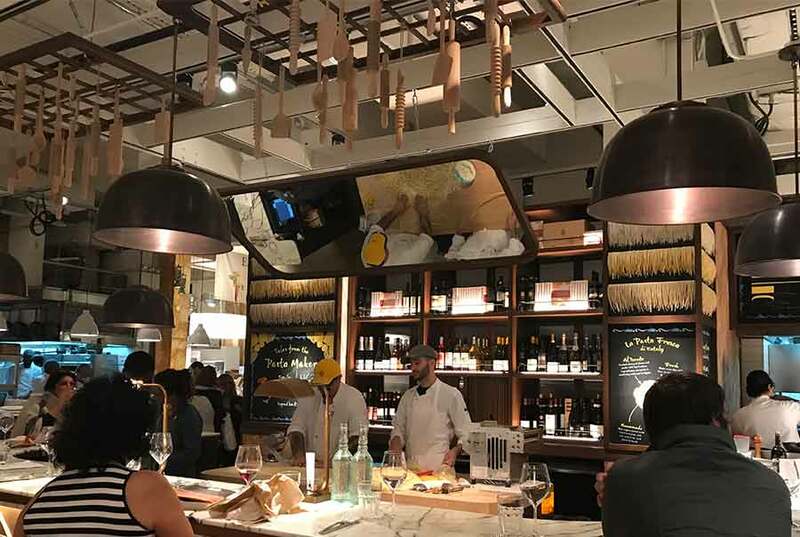 IL PASTAIO DI EATALY is an impressive and theatrical kitchen servery where you can watch all the different fresh pastas being made, then sample your favourite with a fine glass of wine. There’s a restaurant called Fest with a seasonal menu featuring all the finest produce. All food areas have a wealth of supporting information to inform and educate the customer on the heritage of regional produce. It was Halloween – so there was a rich Autumnal theme running throughout – “embrace the abundance of the Fall Harvest”. It’s just all too much to take in on one visit! I know I will have missed loads of detail and this represents a fraction of what’s there to discover. 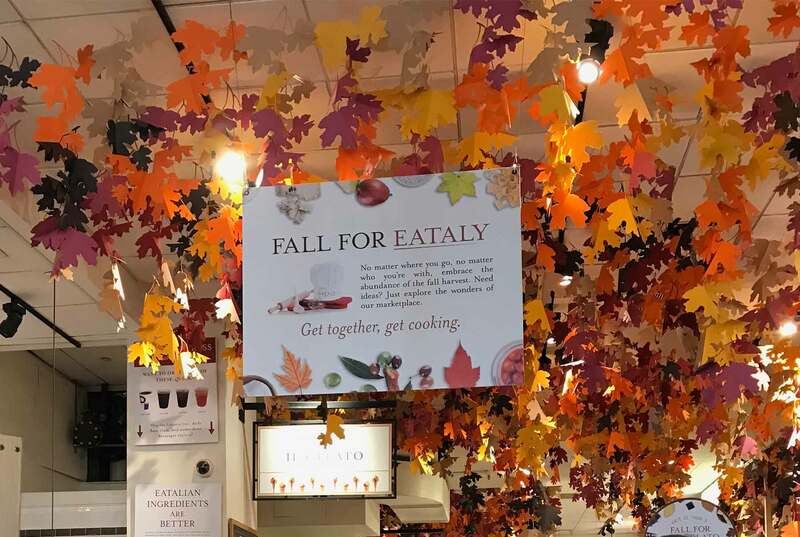 I have no doubt EATALY will be a massive success when it hits London. If you love Italian food and love Whole Foods Market – then this is both combined with the dial turned up full blast!